This is the fourth installment in a Project Management series on key project performance indicators used to monitor and evaluate a project’s health and wellness. 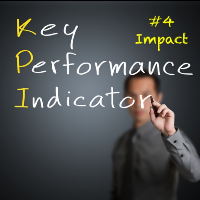 The fourth KPPI focuses on assessing the financial and scheduling impact associated with changes to scope. Scope changes come in many forms – from additional development needs or extended timelines to procuring additional hardware or extending software licenses. Most projects budgets include a contingency fund specifically designed to handle the inevitable changes to scope; and in rare cases an elastic timeline. Even with contingencies in place, it will be critical to manage each change at an individual and collective level. Understanding and managing based on the overall project impact is a critical component to ensuring the proper controls are in place. There are many factors to consider when assessing the viability of absorbing change. In addition to assessing the financial impact, determine if the change will cause project timelines to shift; and if so, analyze the ripple effect across the organization. Most projects are just one element within an overall enterprise plan. Other projects could be waiting for your resources; or relying on your project’s timeline & milestones as critical integration points to their project. Scope changes that shift timelines should be presented to the Project Management Office to extend the impact analysis beyond the project and include an assessment of cross project dependencies within the organization. Ensure you are able to measure and analyze the total cost and time impacts when considering each and every project scope change. The cost of a change may extend beyond the project’s budget and include lost opportunity costs if downstream projects are delayed or impacted. As part of a quarterly review of your project’s performance, include a detailed assessment of the impact of scope to all project and organizational resources. Janet is Avout’s Delivery Services Partner who focuses on ensuring the overall effectiveness and quality of each engagement. She has over 20 years of project management experience in the IT industry, specializing in new technology implementations.